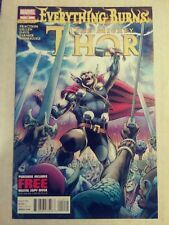 The Mighty Thor (2011-2012) #6 Variant Edition Cover by John Romita Jr. This page was last updated: 21-Apr 13:41. Number of bids and bid amounts may be slightly out of date. See each listing for international shipping options and costs.